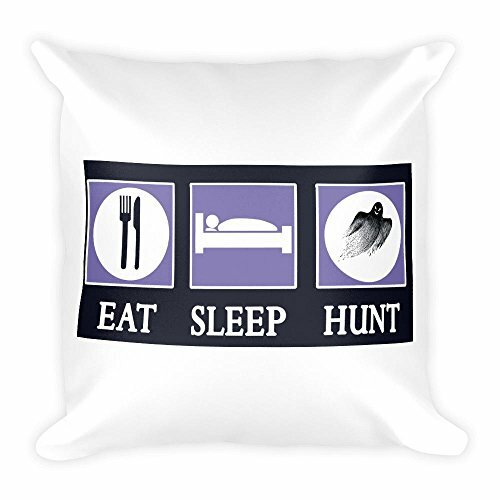 Here we have an Eat Sleep Ghost Hunt Pillow. This is an exclusive product by Your GiftShoppe. It is brand new. This soft pillow is an excellent addition that gives character to any space. It comes with a soft polyester insert that will retain its shape after many uses, and the pillow case can be easily machine washed. • 18"x18" • Machine washable cover • Concealed zipper • Pillow case cover: 80% polyester, 20% fleece • Pillow case insert: 100% polyester • Precision-cut and hand-sewn after printing Please note this is a custom order design. So production and shipping time can take 1-3 weeks! Please note this is a custom order design. So production and shipping time can take 1-3 weeks! If you have any questions about this product by giftsforall, contact us by completing and submitting the form below. If you are looking for a specif part number, please include it with your message.